Chatbots have recently become one of the hottest topics on Internet news portals and forums. It’s really no wonder as this simple yet sophisticated AI technology may add plenty of value to a variety of existing business domains. Let’s dive deeper into the world of chatbots and try to answer several questions that will shed some light on this brand new and exciting technology. 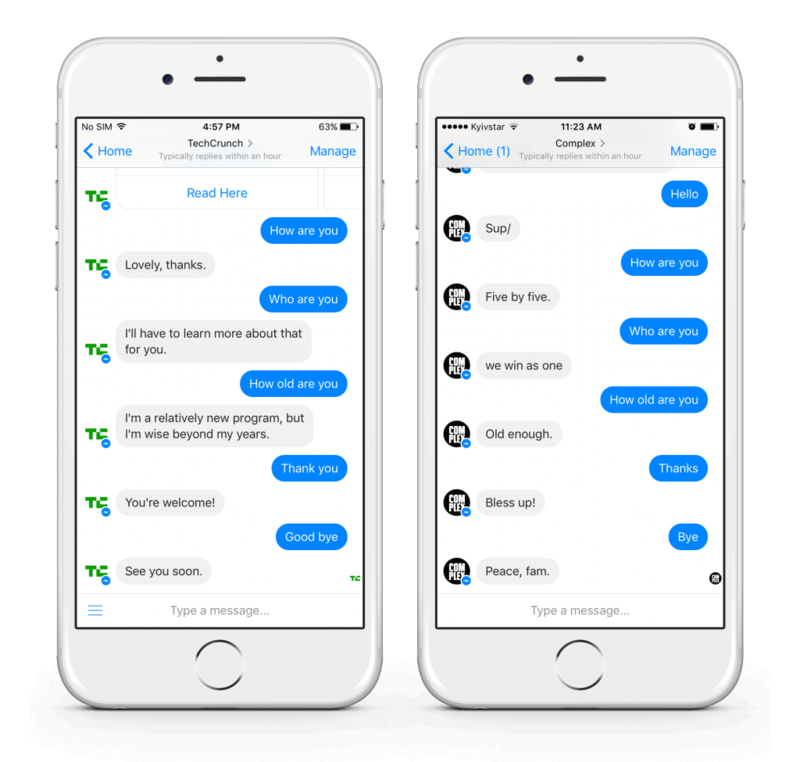 Millions of online businesses and medias may benefit from using such chatbot functionality. These little computer programs convert many more users when compared to already existing fine-tuned traditional marketing strategies. 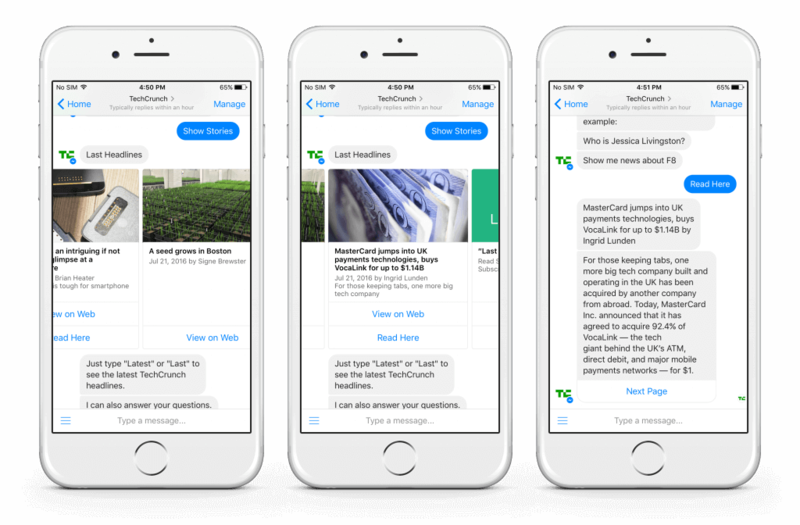 Chatbots may offer a myriad of benefits for both large and small businesses. One may say that a chatbot is a great tool for current customer retention and reengagement. Chatbots also help businesses allure their users and reengage them every time they interact with a bot, which increases the level of their loyalty and interaction frequency with a specific brand or company. Chatbots offer the ability to surprise users with relevant personalized content and keep them updated by sending a daily digest of the topics they have subscribed to and are most interested in. This way a chatbot turns into a customized personal assistant that knows all of your online likes and preferences and serves as a magical tool to deliver the hottest news on time and in the most convenient manner. However, business owners should note that chatbots are not the best tool for obtaining vast cohorts of new users. The fact of the matter is a certain part of general website traffic is simply being redirected into interaction with a chatbot as soon as the bot has been launched. However, having a chatbot on one’s website will certainly add to the company’s popularity, PR and will retain current users by turning them into even more proactive content consumers. Chatbots offer plenty of conveniences for regular users as well. As it is well-known, not all users are willing to install apps in order to get access to certain product features or information on the site as this takes additional time and effort. Conversely, chatbots offer a brand new experience without any need to download or install any software or apps, which turns into one of the biggest and most essential perks for users. In order to understand this better one may use a metaphor: “Installing an app is like getting married, while adding a chat bot into your messaging platform is more like going on a date”. That’s pretty easy to understand, right? Find relevant information depending on the queries of the users using specific plug-ins (e.g. the Wikipedia plug-in) or Google/Bing site search engines, etc. Subscribe users to topics or site categories they are interested in. Send daily digests depending on user subscriptions. Note that the best practice is to send no more than 2 pushes per day as sending more messages may increase the unsubscribe rate as users may feel bothered or spammed. Send personalized recommendations if the client is using some kind of recommendation engine on his website. This way a chatbot will recommend articles based on a user’s website history which eliminates a “cold start problem”. Search for relevant information on social networks like Instagram, Twitter and YouTube. Engage in small talk. Business and media owners can manually preset particular default answers to specific keywords taking into account the “tone of voice” of their particular brand or business domain. This functionality makes small talk predictable as clients are free to set up, later on add or change answers to certain questions their users are asking. For example, the chatbot will be happy to answer such questions coming from users as “Who are you?”, “What’s up?”, “How old are you?”, “Do you like me?”, “How are you today?”, etc. Broadcasting. 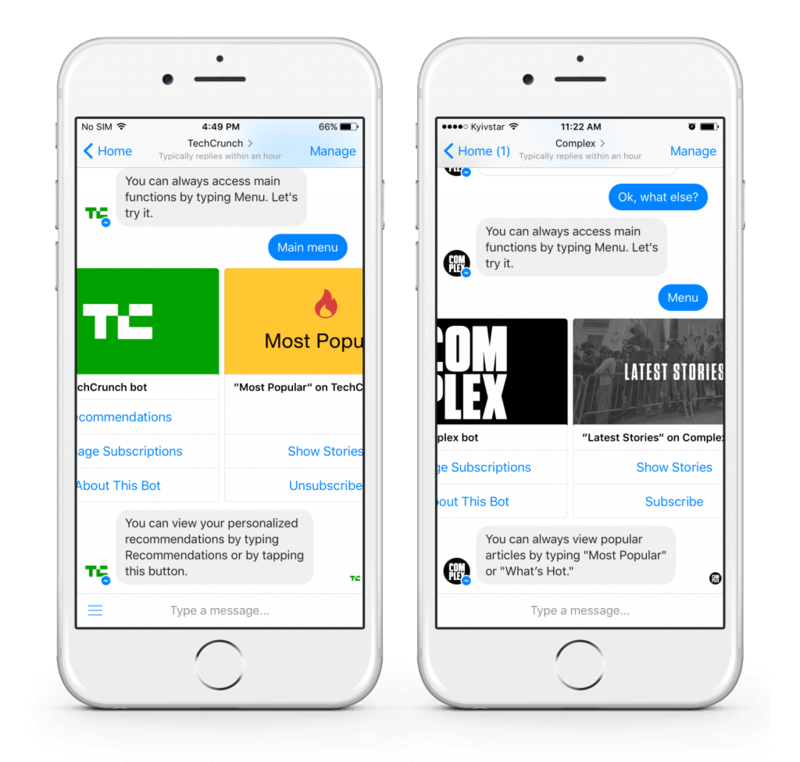 Broadcasting allows business owners to send additional messages to all users who have added a chatbot to their messaging platform. This feature may be used to share some important information (promos, sweepstakes, lotteries) or to gather feedback by creating polls through user inputs, etc. Another important question to be asked is how can a chatbot be so smart? To answer this question we need to analyze chatbot AI or artificial intelligence engine. Chatbot AI helps a chatbot to find relevant content for users and perform specific logical follow-ups. 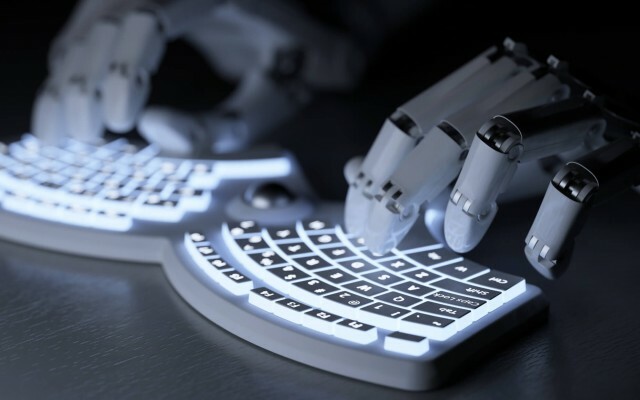 This means that a chatbot can recognize certain keywords or word combinations, understand them as commands and perform specific follow-up cycles according to the preset algorithms. Chatbot AI develops and becomes smarter with time. As more and more users interact with a chatbot it gathers a great deal of information to its database including user-chatbot interaction threads, typical small talk questions, most popular topics, articles, etc. Therefore, a chat bot is constantly growing its ability to provide relevant and more meaningful content, increasing the number of possible questions and answers available in its settings. At the same time, this process can always be monitored by business or media owners with the help of analytical tools and certain messenger pages manager tools. Having discussed all of the above let’s proceed to a more practical overview of a chatbot. I believe it’s quite interesting to get to know how the users can find a chatbot and how the onboarding process works. Find a Chatbot button with the message of the type “Message Us” or “Message a Chatbot” on the client’s website. That is why it is quite important to install such a button on the company or brand website as it helps to connect users’ website browsing history and user-chatbot messaging threads, which will add additional relevant data to Analytics (as the users are the same) and gather more information for future recommendations. Use a shared link which will redirect the user directly to Facebook Messenger and will offer them the ability to start a conversation with a chatbot. Scan a QR code which will redirect the user to the Facebook Messenger app and will ask them to start an interaction with a chatbot. Of course, every Facebook Messenger chat bot has its own typical onboarding scenario with predefined welcome messages, site search engines, small talk answers and “tone of voice”. 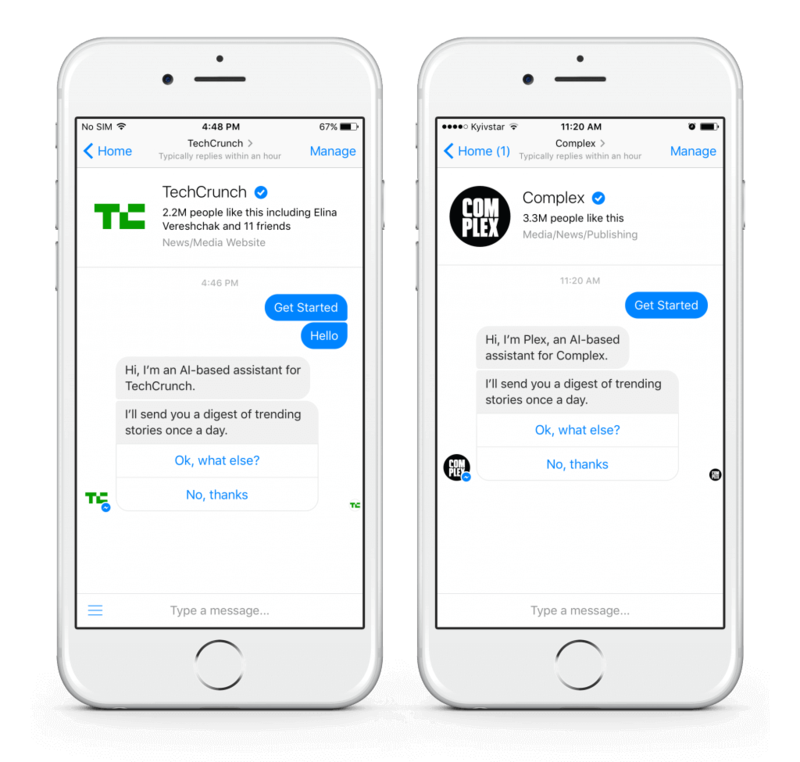 When the user has been redirected to Facebook messenger, they will be asked to start a conversation with a chatbot. A new chat will be created and a chatbot will welcome a new user with an introductory message. If the user is interested and continues interaction, they are automatically subscribed to daily digests sent every day at a defined time. This feature may be customized. After that the bot may show the user an available menu with specific categories and the ability to subscribe to them depending on the website structure and chatbot settings. When the user subscribes to certain categories or topics their daily digest will consist of the newest articles on the chosen topics. This way every user receives their own personalized tool to get updates on the latest news with the relevant information they are interested in. In order to analyze chatbot interactions and study them one will definitely need some analytics tool on a chatbot performance. To solve this problem, one may use one of the numerous full-featured analytics tools for chatbot developers. These will provide both qualitative data (user-bot interaction threads, unresponded user queries with user profiles, etc.) and quantitative data (stats on the number of users, number of interactions, etc.). Moreover, when talking about a Messenger chatbot, one will be able to access more qualitative data with the help of the Facebook pages management tool. Master of Code Global already has vast experience in chatbot development. MoC developers have been working on complex backend development as well as plugins implementation (RSS integration, etc.). At the moment we are building bots for Facebook and Telegram Messengers using Facebook messenger platform SDK, Python and Node.JS. If you are looking for a chatbot development team that created some of the cool chatbot experiences and would love to get continued support and improvements of your chatbot in future, Master of Code will be happy to handle the entire cycle for you with a dedicated team of developers, project managers, and QA. We’d be glad to do a demo of a chatbot prototype which will also help answer some of the major questions mentioned in this article in a more visual mode. We will also definitely help to ideate further!